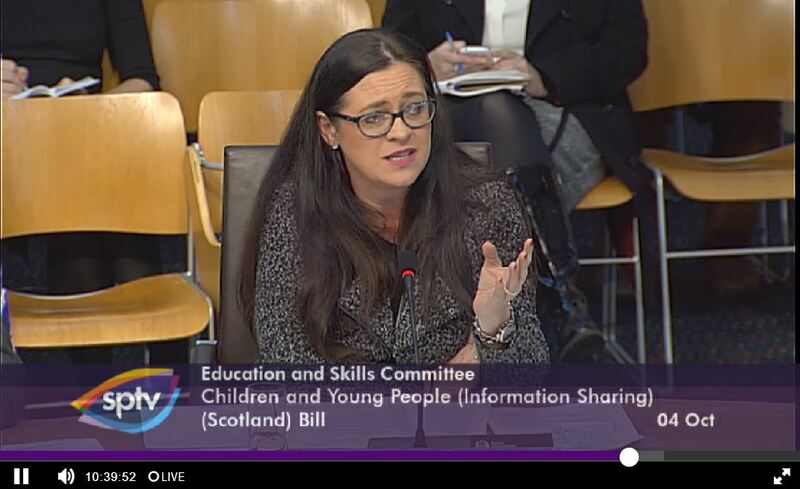 Worries about teachers’ workload and anxiety around Named Person liabilities were at the forefront of today’s Education and Skills Committee evidence session. She argued that asking them to take on the Named Person role would be an impossible task. She told the committee: “It’s like asking the checkout girl to go and fill the shelves when she’s got a queue. You can’t do it. It’s impossible to ask people to do it”. Senior officials from the Information Commissioner’s Office (ICO) also gave evidence to the committee today. Dr Ken Macdonald, ICO’s Head of Regions, told MSPs that the ICO was never totally satisfied with the Named Person Bill. He said the original Bill did not meet the criteria of the Data Protection Act. When asked if he had informed the Scottish Government that he was not satisfied, he responded by saying the Scottish Government had been copied into emails. NO2NPers will recall that Dr Macdonald was responsible for the 2013 guidance which gave the green light to Named Person information sharing. He was later forced to withdraw it. He was also pressed about private emails which emerged after the Named Person Supreme Court ruling in which he expressed his disappointment with the judgment. He did not explain what it was about upholding the fundamental human rights of families that he found so disappointing. And in another blow for the Scottish Government, Maureen Falconer, ICO’s Scotland Regional Manager, told the committee that the Government’s illustrative code of practice was “not fit for purpose”. 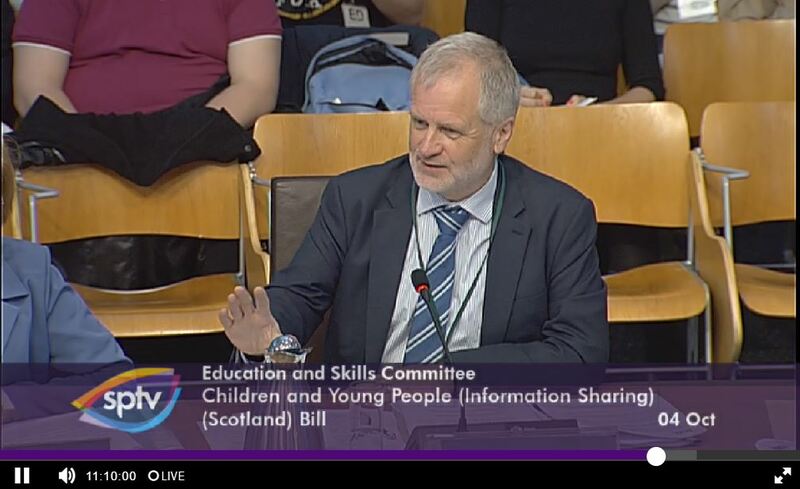 The Education and Skills Committee wrote to Deputy First Minister John Swinney two weeks ago asking for a revised code of practice, but this request was rejected. Dr Macdonald told MSPs that the code of practice was integral to complying with the Supreme Court ruling and without it the committee would find it difficult to come to a conclusion about whether the revised scheme is adequate. The Scottish Government’s attempt at fixing the Named Person scheme has received repeated criticism in recent weeks from professionals including lawyers, teachers and social workers, who have been giving evidence to the Education and Skills Committee. “The Named Person scheme is holed below the water line and rapidly sinking under a tsunami of condemnation from experts and those expected to implement it. “The Government was humiliated in the UK Supreme Court when judges told them their first proposals were unlawful. “Now John Swinney’s new Bill, which depends on a code of practice yet to be seen, is floundering badly. The draft code has been attacked on all sides by information watchdogs, teachers, lawyers and health visitors. “The draft code ‘is not fit for purpose’, according to evidence given to MSPs by Maureen Falconer, the ICO’s Scottish regional manager. “Yet, Mr Swinney has told MSPs he is refusing to give them sight of a final code before they pass his Bill. This is preposterous arrogance. “The information watchdogs told MSPs it would be difficult for them to make definitive conclusions about the Bill without seeing the final code. “Mr Swinney should put up. But perhaps he is too feart in case his proposals are rejected.